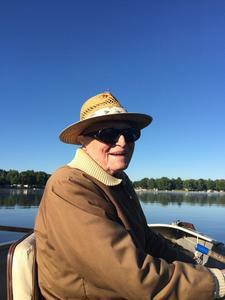 Lowell Thomas “Tom” Coe, age 94, died of natural causes 04/25/2018. Tom was born in Saginaw, MI and moved to Holland in 1959. He was preceded in death by his wife Betty June and 2 sons Tom and Ron. Surviving 1 sister Carol Ann (Ken) Bruneau; 2 daughters, Marie (James) Diebold and LeeAnn Samczyk; granddaughters, Deana (Derrick) Stahl, Tamara (Eric) Thomas, Shannon (Lee) Gibson, Heather (Martin) Jeakle, Nichole (Micah) Veith, Sara (Bill) Hoffmann. 17 great-grandchildren; 2 great-great-grandchildren and numerous nieces and nephews. A funeral Mass is being held Friday, May 18th, 2018 at 11 a.m. at St. Francis de Sales Church, 171 West 13th Street, Holland 49423; luncheon immediately following. In lieu of flowers memorial contributions may be made to: Eternal Word Television Network (EWTN) www.ewtn.com click the donate button. Arrangements are by the Dykstra Funeral Home-Mulder Chapel.